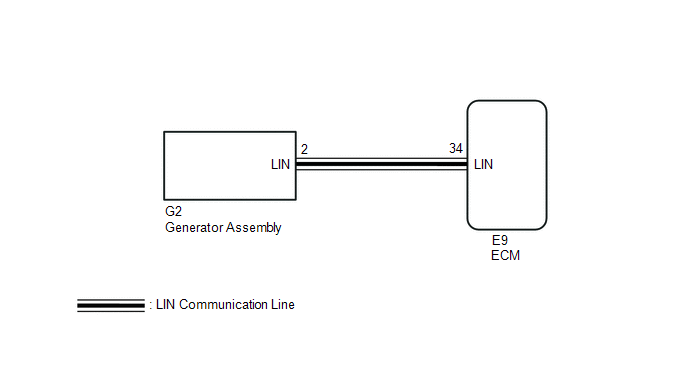 The ECM communicates with the generator assembly via LIN communication. If a LIN communication error is detected, the ECM stores this DTC. Generator assembly or ECM communication stop for about 17 minutes or more with the ignition switch ON. (a) Check the charging system (See page ). (a) Disconnect the E9 ECM connector. (b) Disconnect the G2 generator assembly connector.